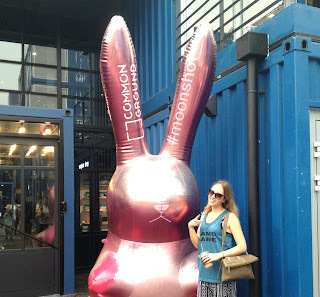 While enjoying all that is fabulous about shipping containers at Common Ground in Seoul, we stumbled upon a popup store for Moonshot Cosmetics, South Korea’s hot new beauty line from YG Entertainment. The company that brought you Psy and 2NE1 (everything K-Pop) is delving into the cosmetics industry to give its customers versatile products to add a little sass to their everyday look. Whether you want to rock a full K-Pop inspired look, or add a little unexpected color to your lips, this line has you covered. 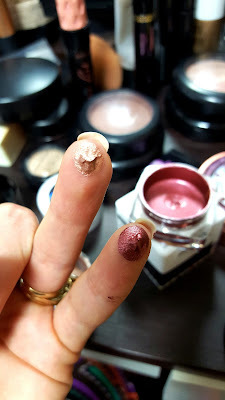 After looking over the vast product line and swatching everything and anything we could (the MUA there had a lot of fun with us as we can get a bit crazy when it comes to makeup! ), a few things caught my eye. Multipurpose. I saw this word on all the packaging and I loved it! 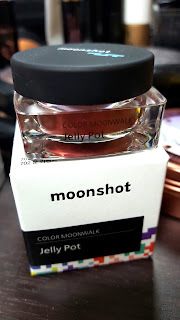 Every colored product whether it was the jelly pot, cream paint, powder mousse, you name it, it is multipurpose for your lips, eyes, cheeks, and body. I love multi-use products especially when I travel and can’t take all my favorites with me. 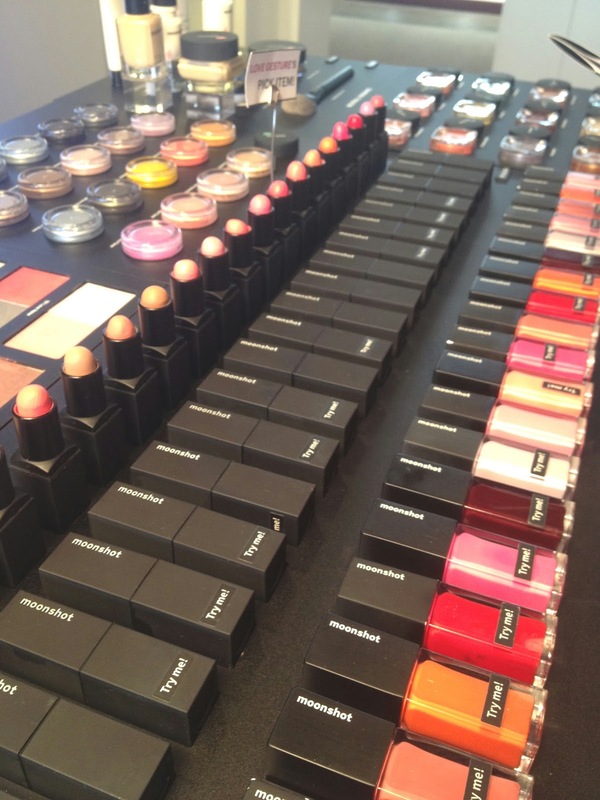 They are right on trend for beauty products. 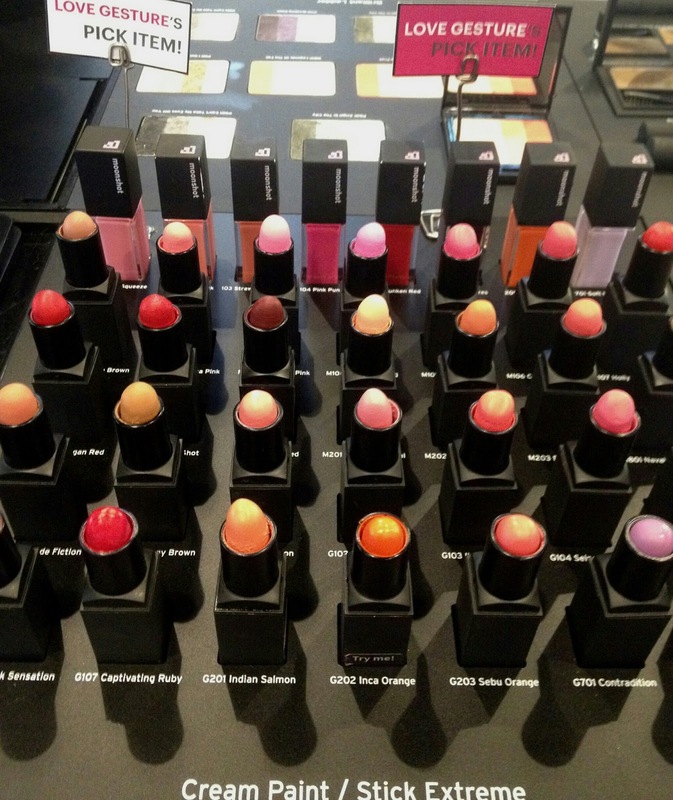 I also loved the color and texture range. The packaging is sturdy and well made. The Jelly Pot (22,000won) was by far the most unique beauty product I’ve seen in a long time. It looks like a paint pot in a small glass jar. I had to pick up a couple and test them out. Their website said this jelly pop in Moon Revenge (the color pictured below) is one of their best sellers. It’s really a great/unique color. Result: in love! The texture of these remind me of acrylic paint. They are a pseudo-liquid/gel. I recommend using your finger or a small flat brush to apply them. Tap and mix the product on the back of your hand before swiping the lid so it isn’t too thick. The product will dry on the lids so you should try to work swiftly and precise. With the dark color use a little at a time and build it, or it can get away from you. The colors mix beautifully, too. Eyes, lips, cheeks. Multipurpose product. 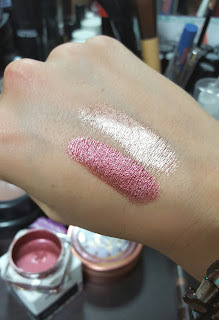 They create a stunning wash across the lid and lips. The formula is absolutely non-crease. I didn’t have any problems with creasing and it is hot and humid these days. 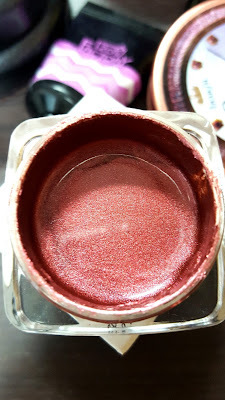 It is also a water based formula so if you swatch it or mix product on the back of your hand, just run it under water and it’s gone. No residue, no stain. 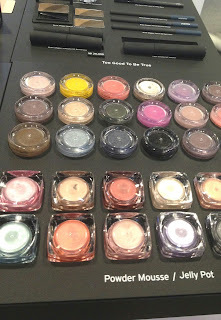 The product blended well with some powder shadows from MAC and a fluffy brush. There was also no fading during the day and it doesn’t require a primer. The biggest downfall is they will dry out. The packaging says use within 6 months (who can use a full shadow in 6 months?!?) They give you a thin plastic seal to put on the product before you close it to keep it fresh. I really hope after 6 months they will keep their consistency. Unfortunately, if they dry out within 6 months, I don’t see how practical they will be at their price point, but for something fun and new, it’s a must try. **UPDATE**: After 6 months, yes, they dried out. But don’t worry! There is a way to bring them back to life. Check out the full video on how to resurrect your jelly pots. I didn’t go overboard as I wanted to check out the brand first. I will be back to pick up a few more products to give them a try. Have you tried Moonshot? They ship internationally so check out their website. Let me know your faves. I have a swatch video up on Instagram if you want to see the shine in action @7seasonsstyle!